Apollonios of Tyana, whose name means “Follower of Apollo,” was a wandering philosopher, ascetic, and miracle worker, often described as a prophet, religious reformer, and teacher. He lived in the eastern part of the early Roman Empire in roughly 15-100 AD. He followed Pythagoreanism; and for this abstained from animal sacrifice, wine, women and stayed on a strictly vegetarian diet. He believed that the Gods were the most beautiful things, and could be reached by a spiritual procedure involving nous (intellect) and that the soul was immortal. Primary sources on Apollonios comes from his biography, “ Life of Apollonios of Tyana” by Philostratus, which itself takes from sources such as local knowledge from the towns Apollonios visited, memoirs written by the disciple of Apollonios named Damis, and a book on him written by Maximus of Aegae. There is also information on Apollonios written by the historian Cassius Dio. It is said that Apollonios was a devotee of Asklepios, the Sub-Lunar Demiurge, and deity of Healing. Being aware current events occurring in other parts of the world; such as the death of the tyrant Domitian. It is said that he lost favor with Emperor Severus, who ordered his hair cut to part him from his theurgic powers. Shortly after Apollonios disappeared; merely vanishing from the courtroom never to be seen again. It is said by his followers that he had passed away and was taken up to the heavens. The influence of Apollonios of Tyana on Hellenism was notable, having directly impacted Emperor Aurelian and having influenced members of Diocletian’s administration. It is possible he had influenced philosophers Iamblichus and Porphyry who themselves influenced the Emperor Flavius Claudius Iulianus Augustus (Julian). Even after his disappearance among men, his influence on the living did not end. In the late 3rd century ACE, two centuries after Apollonios, Emperor Aurelian was dealing with a civil war against the upstart Palmyrene Empire. Aurelian was destroying every city that resisted him, but when confronting Apollonios’ hometown of Tyana, the Emperor had a vision of Apollonios who implored him for mercy, stating, “Aurelian, if you desire to rule, abstain from the blood of the innocent! Aurelian, if you will conquer, be merciful!” The words resonated, and Aurelian decided to spare Tyana. Following this event, many more cities submitted to him upon seeing that the Emperor would not exact revenge upon them. 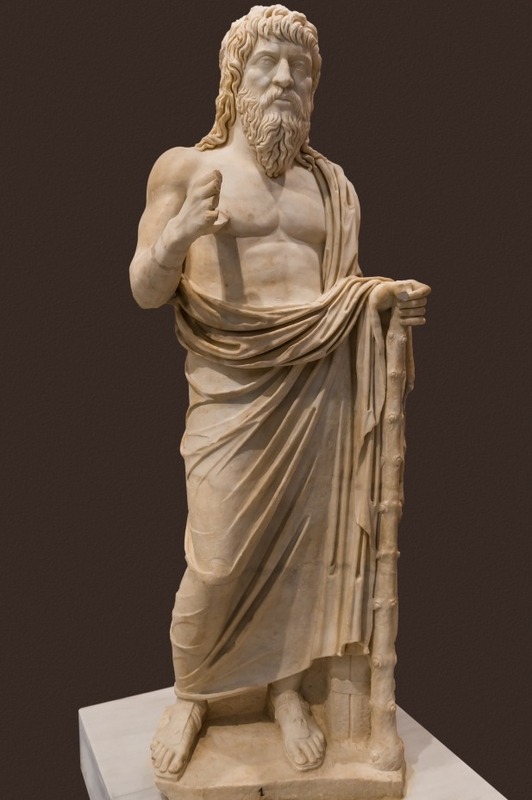 “Apollonius of Tyana.” Apollonius of Tyana – New World Encyclopedia. Accessed August 20, 2017. http://www.newworldencyclopedia.org/entry/Apollonius_of_Tyana. “Apollonius of Tyana.” Apollonius of Tyana – Livius. Accessed August 20, 2017. http://www.livius.org/articles/person/apollonius-of-tyana/. Bellezza, Angela. Historia Augusta. Genova: Pagano, 1959. Home-Cook, Andrew G. “University of St Andrews.” Apollonius of Tyana | Old Testament Pseudepigrapha – School of Divinity, University of St Andrews. Accessed August 20, 2017. https://www.st-andrews.ac.uk/divinity/rt/otp/dmf/apollonius/. Philostratus, and C. P. Jones. The life of Apollonius of Tyana. Cambridge, MA: Harvard University Press.